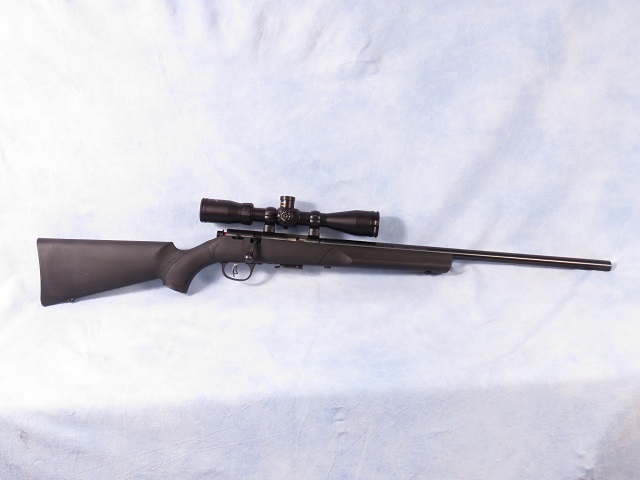 Marlin model XT-17VR bolt action rifle chambered in .17 HMR. Customer traded for a Beretta 92FS 9mm pistol. The rifle features a 22" blued heavy varmint barrel, black synthetic beavertail stock, ProFire adjustable trigger, and a 4 round magazine. Customer mounted a BSA Sweet-17 3-12x40mm scope with side focus and adjustable turrets; making this into a super package!